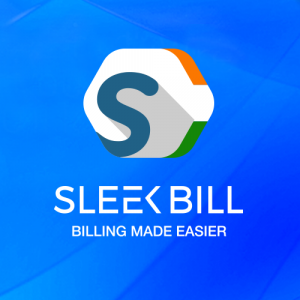 Sleek Bill is a cloud-based invoicing and billing software for freelancers, small businesses, and accountants. It allows users to create customized invoices, track inventory, generate reports, and more. In this review, we cover its pricing options available. As of the date this article was written (6/27/18), there are no user reviews of Sleek Bill online. If you are a past or current Sleek Bill customer, leave a review to help other small business owners that are deciding whether or not to use the company. Sleek Bill offers two plans: Free ($0) and Premium Business (starts at $40/year). The main differences between plans are the number of documents included, as well as the availability of premium features such as advanced reporting, export and import functionalities, and more. Both plans include customizable templates, data security, and auto-backup. Check out the list below of some of Sleek Bill’s features. Small Business Invoicing: How to Write One and Deal with Unpaid Invoices – In this guide, we’ll teach you how to write an invoice and uncover all the best practices for invoicing, including how to use invoicing software to handle a lot of your work automatically. Is there a free trial available for the Premium Business plan? Yes. Interested users can try it for free for 14 days. Is my data safe in Sleek Bill Online? Yes. According to Sleek Bill, they use the best security encryption system to ensure that their clients’ data are stored and transmitted safely over the internet. This video provides an overview on how to create a tax invoice using Sleek Bill. Not sure if Sleek Bill is the right fit for you? Read our reviews of all top invoicing software.